For the sixth year, the DASH diet was named Best Diets Overall, while the MIND diet, a new contender on the 2016 list, made an impressive debut, coming in at second place overall, tying with the TLC diet. For many Americans, eating healthier diets and losing weight are top priorities in the New Year. Annually, since 2011, Emory Heart & Vascular Center cardiologist Laurence Sperling, MD has served on a panel of experts for the U.S. News & World Report's Best Diets ranking, evaluating some of the country's most popular diets. The 2016 rankings were issued this week. Sperling and his panel colleagues – a group of nationally recognized experts in diet, nutrition, obesity, food psychology, diabetes and heart disease – evaluated 38 diets. They rated each diet on a scale of 1 to 5 on seven measures: short- and long-term weight loss, ease of following, nutrition, safety and performance as a diabetes and heart diet. U.S. News factored in each diet's score on all seven measures to compute its overall score. 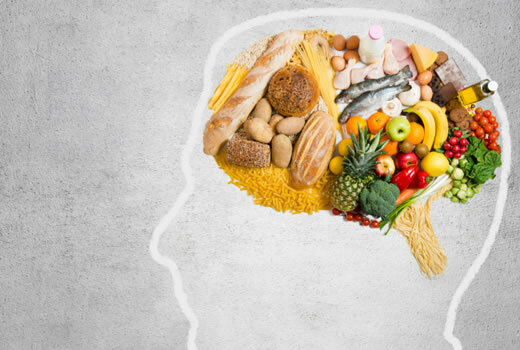 "The MIND diet is a healthy, sensible plan supported by science," says Sperling. "It takes two proven diets ­­– DASH and Mediterranean – and promotes foods in each that specifically affect brain health." Some of those foods include green leafy vegetables, nuts, berries, beans, whole grains, fish, poultry, olive oil and wine. The MIND diet recommends avoiding foods from the five unhealthy groups: red meats, butter and stick margarine, cheeses, pastries and sweets and fried or fast food. "Find a diet that you can maintain. The more restrictive a diet, the less likely a person can adhere to it long term. While fad diets or diets very low in fat or very low in carbs have short-term potential benefits, they are difficult to follow over time." "Balanced diets focus on healthy fats and healthy proteins. They include healthy, unprocessed carbohydrates in small portions. Fruits, vegetables and low-fat dairy. Lots of fish, nuts, seeds and legumes. Sparingly, things like sweets, alcohol and meats." "Make your diet part of a larger, healthier lifestyle. The word 'diet' comes from the Latin word 'dieta,' which really means a way of life. It's not just a way of eating. Healthy, well-proportioned eating, walking or physical activity on most days of the week, keeping an ideal body weight - maintaining these behaviors throughout your life is key." Sperling is currently serving as president of the American Society for Preventive Cardiology. He is the medical director of preventive cardiology at Emory Healthcare, professor of medicine at Emory University School of Medicine and professor of global health at Rollins School of Public Health. He serves as medical director for a number of unique programs at Emory. He founded (in 2004) and directs the first and only LDL apheresis program in the state of Georgia. For information on Best Diets 2016, please visit health.usnews.com/best-diet.